As I've mentioned multiple times, I've developed a healthier lifestyle. My mom buys some junk food and some healthy food, but I always ended up eating the junk food because she always bought the healthy food that I didn't like. And every single time she went to the grocery store, I was always busy so I was unable to go with her to pick out the food I wanted. So now she gives me some money and I go grocery shopping myself! Going grocery shopping yourself truly helps because you're able to look at all of the healthy options and pick the ones that appeal to you. This is a major reason why I've been able to eat so many healthy foods. Since I've been picking out my own food, I have been searching through Pinterest lately to find some easy, fun, and delicious recipes for healthy meals. I love toast, eggs, and avocado, so this meal sounds absolutely delicious to me! I've never thought of avocado as a breakfast food before, but recently I've been seeing more and more breakfast recipes involving avocado. All you have to do is toast wheat bread, spread on fresh avocado, and place two sunny side eggs on top. Sprinkle some pepper for flavoring if you'd like! This breakfast looks super filling, so I'll probably make just one half. This recipe sounds so easy. Basically, all you have to do is grill chicken in whatever marinade you'd like and cook your favorite vegetables. Throw them in a bowl to mix them all up, and there you go! You have a yummy grilled chicken veggie bowl. Chicken salad is so good yet so bad. 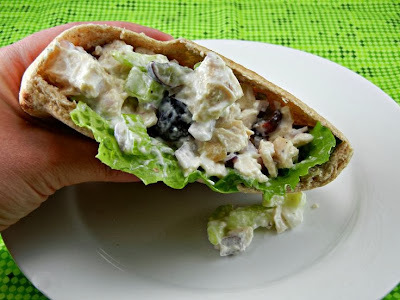 When I found this clean eating chicken salad recipe, I freaked! I can't wait to make this for dinner. This recipe can also be used for lunch! All of these meals can have a side of fresh fruits or vegetables. Wash them down with some delicious lemon water as well! What do you like to eat for healthy meals? Everything looks delicious! Avocado and egg is one of my favorite combos.